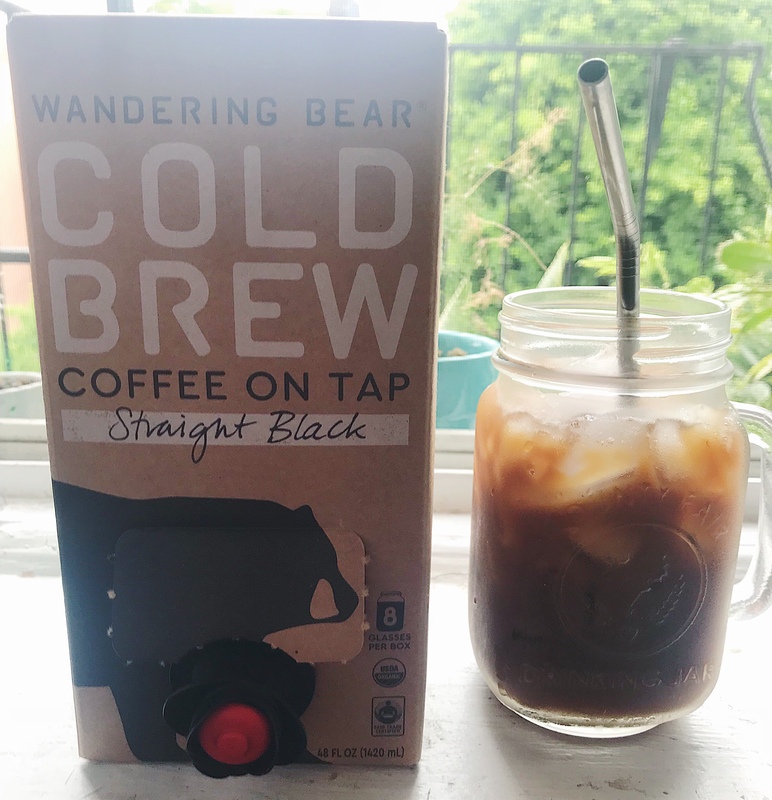 Wandering Bear Cold Brew on Tap— we usually load up on this because it is tasty, convenient and easy to store/dispense. 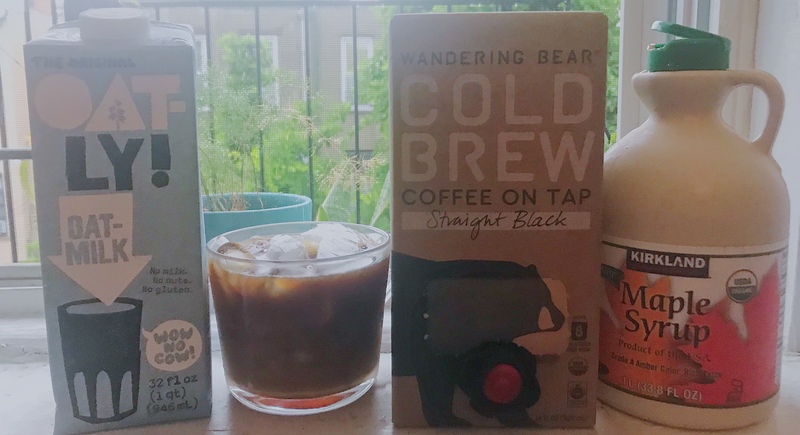 Sometimes, you just want to roll out of bed and literally open the fridge (takes up minimal space) and pour yourself a perfect cup of cold brew over ice. 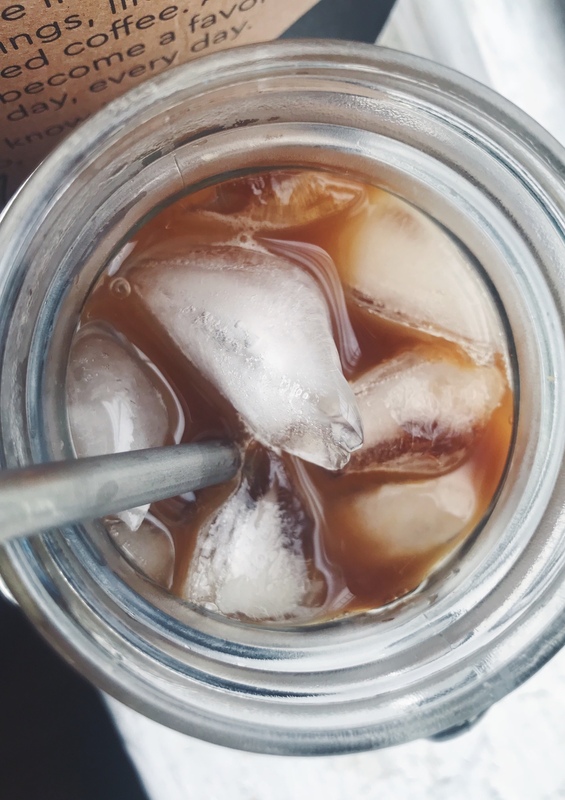 No scale needed to measure the weight of coffee beans; no heating up of water; no need to set up the mason jar for a cold brew the night before. No clean up! As good (if not better) than the ones you pay lots of money for every morning or afternoon; and you get the “free” refills too. Have it straight or add a splash of milk of your preference; perfect either way. Fill up your canteen and you are ready to tackle on the day. Have a great day everyone! 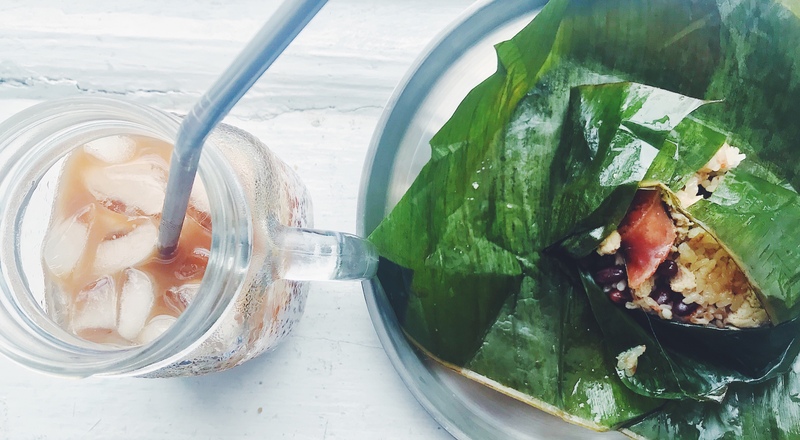 I had mine with breakfast the other morning with the leftover banana leaf wrapped sticky rice. It was a great morning! 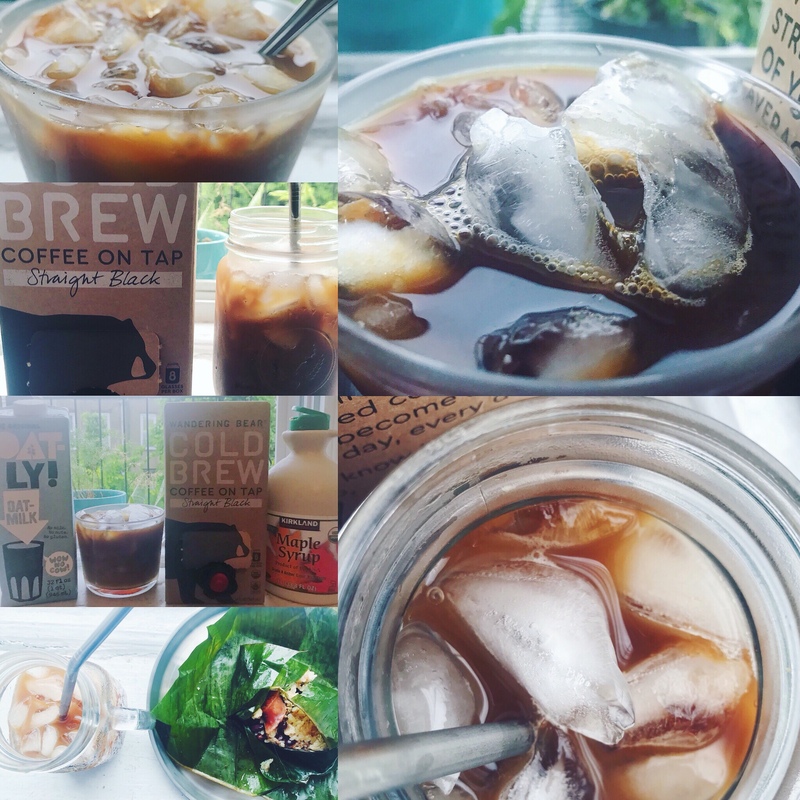 Do you have any cold brew on tap you would recommend for us to try? 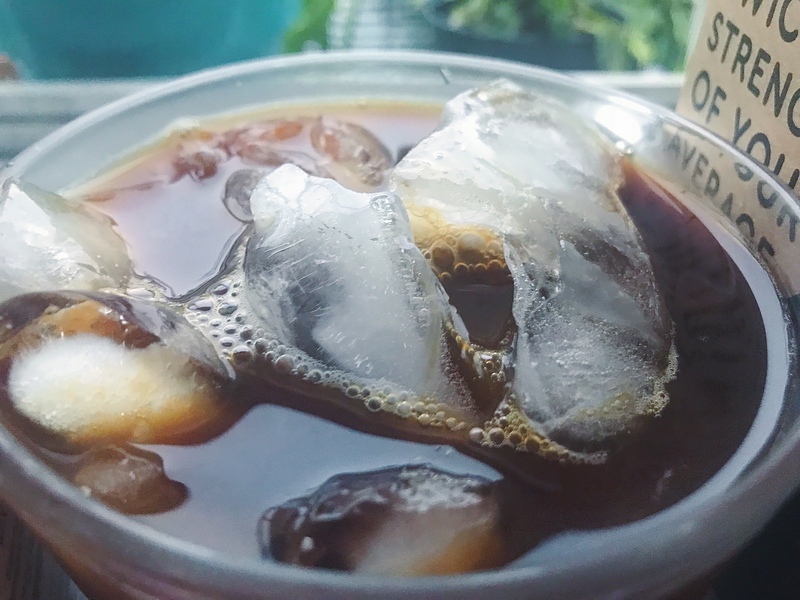 We tried several brands and this one is our favorite so far on tap.